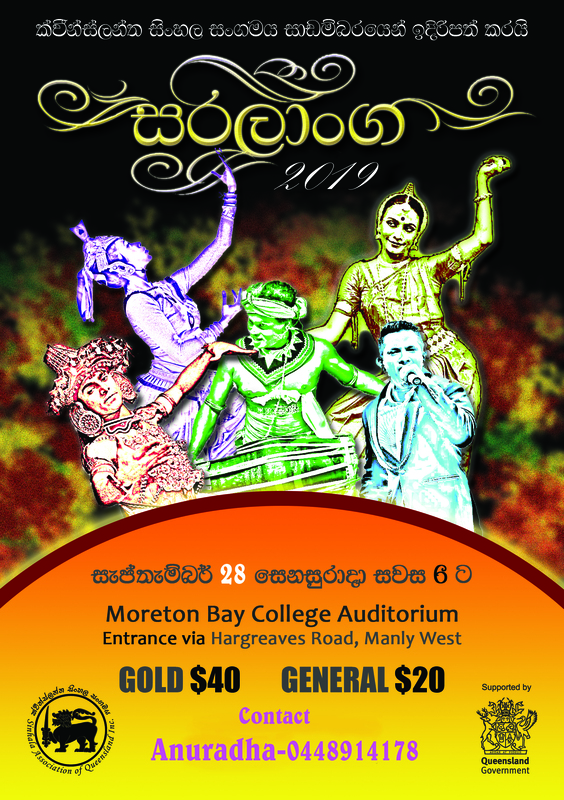 29th September 2018 at Moriton Bay College Auditorium. Sinhala Association of Queensland are a non-profit organisation based in Brisbane. We assist in preserving and promoting the Sinhala language and the Sri Lankan culture by hosting events, such as dancing, singing and drama performances. Additionally, we offer services to our members to help out Sri Lankan families in both Australia and the mother-land.